The other day, I got a yellow and blue dress. I know I have weird taste in clothes, so don't laugh at my dress sense (or lack thereof). I like this dress because it's light, flowy, and easy to wear. In fact, I wore the dress out to a recent Keratinology event, and you can see me wearing the dress in a photo. I felt inspired by the dress's yellow and blue colour scheme to try that out for an EOTD. And here is the result! 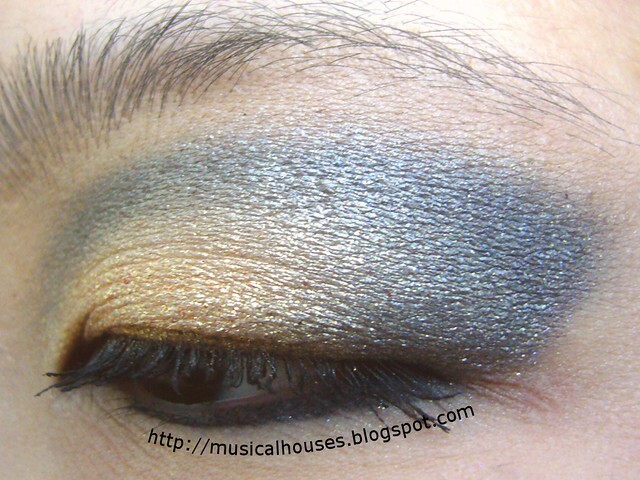 For this eye look, I used the navy blue from the Sleek Storm Palette, and the gold shade was either from a Sleek Palette or Evil Shades Morning Star. I placed the gold shade on the lid, and the blue in the contour area, and blended. 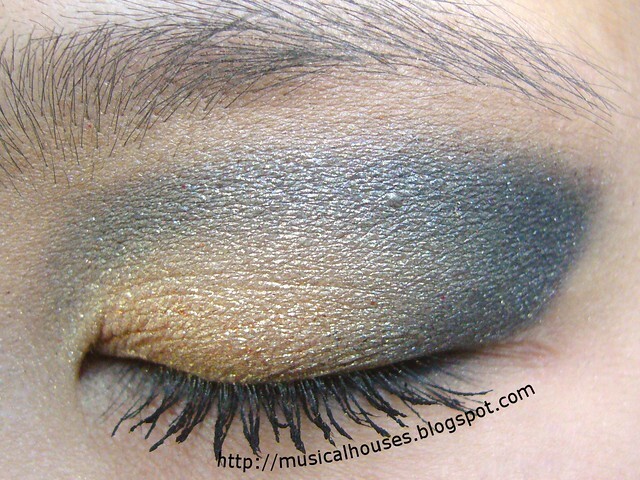 I quite like this look - it's dramatic and not exactly an everyday look, but I love the gold and blue contrast. Pigmentation and application on both shades was good - I don't have issue either with my Sleek Palettes or my Evil Shades eyeshadows. I kinda feel like the patterns on my dress would look really good on the nail, and I keep thinking that I should do a blue and gold/yellow nail with that design, but I'm worried that my nail art skills are too fail to reproduce the design. Until then, I'll just do the eye look! I think your dress looks very pretty and you look lovely in it! The eye look is lovely and I hope that your nail skill confidence grows enough to try the design out! Love the dress, love the eye makeup - tres chic!